It is with the deepest sorrow we announce the passing of Seán Lee, 78 on the first of April. Seán was from Kells, County Meath in Ireland, and was an active member of the Arizona Irish Community. He will be greatly missed by his wife Janet, children Mairéad, Janet Anne and Seán Stephen, son-in-laws Tim and Mike, grandchildren Keira and Kylie, sister Mairéad, brother Rex and adoptive family friends Simone, Corey, Wyatt and Sienna. 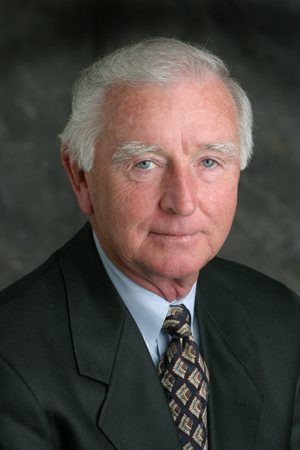 Seán was a founder of the Irish Cultural & Learning Foundation and Emeritus Board Member. He was one of the 2016 Anam Cara (Soul Friend) Award Recipients, and was an incredible Board Member, former President, and volunteer. He was a founding member of ERIN (Executive Resource in Irish Networking) and it is through the generosity of him and his wife that the ICLF has a copy of The Book of Kells. We will remember Seán fondly for his love of everything Irish and his unwavering commitment to the Irish Cultural and Learning Foundation. Seán’s memorial will most likely be in May. Details will be announced when finalized. In lieu of flowers, memorial donations may be given to the St. Joseph the Worker, www.sjwjobs.org (Green “Donate Today” button, choose “One Time” and enter at bottom “In Memory of Seán F. Lee). The family wishes to thank family, friends, church community of St. Thomas More and the entire Irish community for your support through this difficult time. Not everyone who emigrates in present day is required to serve in an armed service capacity for citizenship. Seán was extremely proud of this great country, to be American and to serve our country as a United States Marine. Oorah and Semper Fi! 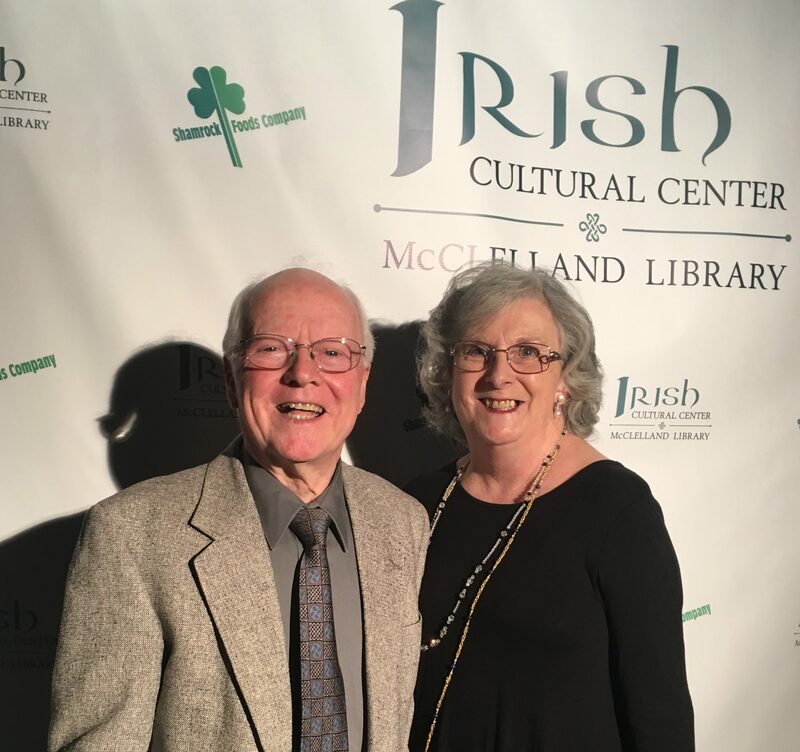 I was fortunate for the last two years as my travel time from North Glendale to the ICC and back was filled with Seán’s heartfelt thoughts and conversations about the Irish Cultural Center’s accomplishments and future. Seán brought his considerable business sense and spirit of volunteerism to the Irish Cultural Center with passion and tenacity. He and Janet could be found at many of our events volunteering at the ICC information tent. Seán will be remembered for his swift decisions to act on opportunities when they are presented. Seán’s passion and commitment to the ICC has set a high bar. His strength and leadership will be missed by all of us. It is with deepest sorrow that we mourn the loss of Sean Prior. Sean, 77, of Tempe Arizona passed away on February 24th. Sean will be greatly missed by his wife Patricia, daughters Dara and Adele, son Brendan, grandchildren, son in-laws, daughter in-law, brothers and sisters and other family. wrote the inscription for the An Gorta Mor Hunger Memorial. Sean is known for his passion and dedication to the Phoenix Irish Community and will be greatly missed. Service will be held at Queen of Heaven, 1562 E. Baseline Rd. Mesa, AZ 85204 on Monday, March 4th at 10am followed by a Celebration of Life at Phoenix Irish Cultural Center, 1106 N Central Avenue, Phoenix, AZ 85004 at noon. In lieu of flowers, memorial donations may be given to the Irish Cultural Center. The family wish to thank our family and friends and the entire Irish community for your support through this difficult time.